The Trump administration will propose scrapping an Obama-era mandate that new coal-fired power plants use carbon-capture technology, removing a major barrier to constructing the facilities, according to a person familiar with the plans. The Environmental Protection Agency is slated to unveil the measure on Thursday, during an event at its headquarters in Washington, said the person, who was granted anonymity to discuss the proposal before the formal announcement. The EPA is set to assert that the requirement for carbon capture and storage technology fell short of a legal standard that it be "adequately demonstrated," mirroring an objection raised by power companies, coal miner Murray Energy Corp. and industry associations that have challenged the mandate in federal court. Although the technology has been used at oil refineries and other facilities—including a coal-fired unit at an NRG Energy Inc. plant in Texas—it has not been widely deployed in the electricity sector. 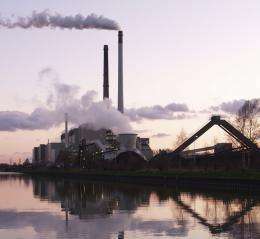 The Obama administration regulation, finalized in 2015, imposed carbon dioxide limits on new and modified coal-fired power plants that could not be met without installing some kind of carbon-capture technology. The proposed replacement would raise allowable carbon dioxide emissions from new and modified coal power plants. And that proposed threshold would be attainable without employing technology to strip out carbon dioxide emissions, while ensuring utilities use other advanced technologies to ensure coal is burned cleanly and efficiently, said the person familiar with the proposal. The move dovetails with the EPA's separate effort to dramatically weaken an Obama administration regulation limiting carbon dioxide emissions from existing coal-fired power plants. President Donald Trump campaigned on a promise to bring back coal jobs and lift regulations he said were throttling the U.S. economy. Yet the effort is unlikely to bring about a coal power renaissance in the U.S., as utilities increasingly shift to cheap, cleaner burning natural gas and zero-emission renewables. Since 2010, power plant owners have either retired or announced plans to retire at least 630 coal plants in 43 states—nearly 40 percent of the U.S. coal fleet, according to data by the American Coalition for Clean Coal Electricity. The EPA proposal will be subject to public comment and could be finalized next year.